Add the Lemon Juice and the Okra. Let it boil for 15 minutes on low heat. Add the Garlic, the Peppers, the Salt & Pepper. 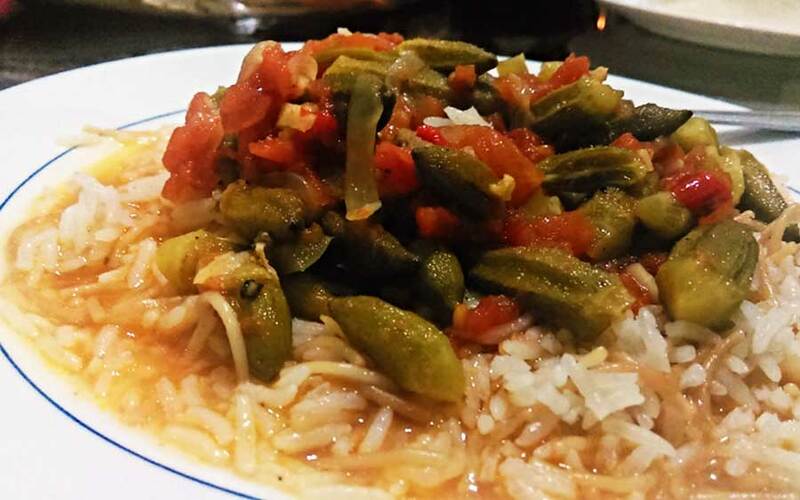 Cook until the okra is cooked thoroughly and the sauce has thickened. We cook okra during summer when it's at the peak of its season, and it's most affordable fresh, and most importantly full of flavor. Okra can also be frozen for the winter. We eat this dish served on top of a simple rice pilaf. Accompanying sides include french fries and green peppers.